Over the past week, the story of a 13-year-old boy who cycled more than 100km to visit his hospitalised little brother went viral on social media. 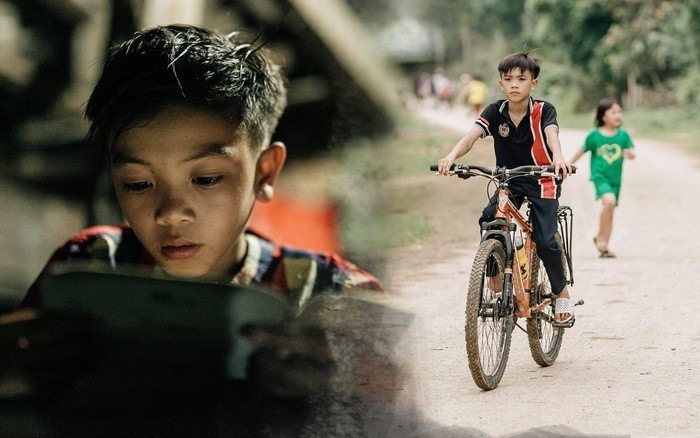 Vì Quyết Chiến, a Thái ethnic minority, began his journey from the northern mountainous province of Sơn La to Hà Nội on March 25, after his grandfather told him his two-month-old brother had been admitted to a hospital in the capital city, about 175km from his home. Chiến, overcame with worry, decided to ride to Hà Nội on his small bicycle to see his brother. He did not tell anyone about his plan and snuck out of the village and followed the national highway. The brave boy didn’t care that his bike’s brakes were broken, or that he didn’t even any money, food or water with him. When he reached Hòa Bình Province, he was exhausted and lain down on the road with his bicycle. Luckily, the crew of a coach going to Hà Nội noticed him and gave him food and a ride to the city. They also helped Chiến contact his parents at the National Paediatrics Hospital. The following day Chiến was reunited with his family. The doctors revealed Chiến’s younger brother was suffering from severe hepatitis caused by metabolic disorders in premature babies, and at the same time pneumonia and malnutrition. "The road was long and tough, and it was hot but when I thought of my brother and my parents, I just kept cycling," Chiến said. The coach’s driver and doctors estimated the boy had cycled about 103km. His calves were swollen and his slippers were ruined. Chiến’s father took him back home by bus, with tickets bought by doctors at the hospital, who also got the boy a new pair of slippers. As the story spread on social media, a doctor living in HCM City offered to buy Chiến a bicycle for VNĐ13 million (US$560), equals to his age. The doctor said his hobby was collecting bicycles, and he was moved with Chiến’s story. “I remember my childhood, my father gave me an old bicycle as a present when I was five years old,” the doctor said. He added that when he had a chance to travel north, he would be sure to visit Chiến’s family.